In the Cellular Respiration unit we will discuss aerobic and anaerobic cellular respiration. You will also learn how ATP is produced in the mitochondria. ​Cell respiration supplies energy for the functions of life. List ethical questions that must be considered before using animals in experiments. 2.8.U1 Cell respiration is the controlled release of energy from organic compounds to produce ATP. State the reaction for cellular respiration. State the types of organic compounds used in cellular respiration by animals and plants. 2.8.U2 ATP from cell respiration is immediately available as a source of energy in the cell. State three example uses of cellular energy. Outline energy transfer in the formation and use of ATP. State three reasons why cellular respiration must be continuously performed by all cells. Released by splitting ATP into ADP and phosphate –> can be reconverted back to ATP through cell respiration. 2.8.U3 Anaerobic cell respiration gives a small yield of ATP from glucose. List three situations in which anaerobic respiration is useful. Compare anaerobic respiration in yeasts and humans. 2.8.U4 Aerobic cell respiration requires oxygen and gives a large yield of ATP from glucose. Compare the total amount of ATP made from anaerobic and aerobic respiration. ​State the location of aerobic respiration. 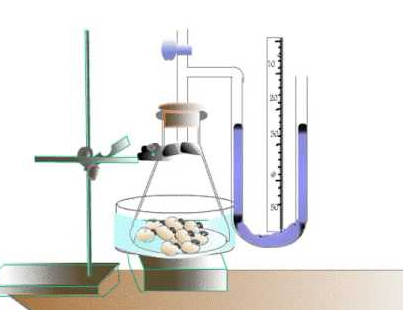 2.8.A1 Use of anaerobic cell respiration in yeasts to produce ethanol and carbon dioxide in baking. Outline how anaerobic respiration in yeast is used in baking. Outline how anaerobic respiration in yeast is used in ethanol production. Some organisms such as yeasts only undergo anaerobic respiration and do not require Oxygen. During anaerobic respiration pyruvate from glycolysis is instead made into Lactate in animals, and Ethanol and Carbon Dioxide in yeast. This is why when yeast is added to aa cake bubbles form in the bread and the cake rises. Because of the Carbon Dioxide being produced. 2.8.A2 Lactate production in humans when anaerobic respiration is used to maximize the power of muscle contractions. State the condition in which humans would perform anaerobic respiration. 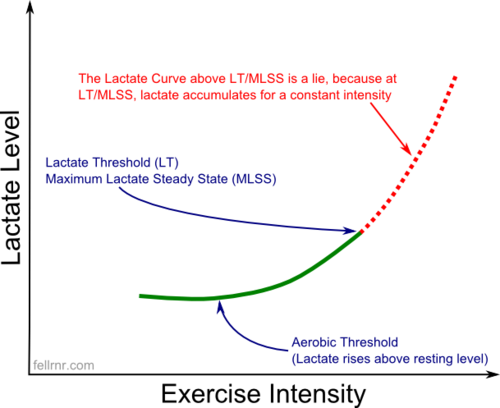 ​Outline production of lactate in humans during anaerobic respiration. Muscle contractions require the expenditure of high amounts of energy and thus require high levels of ATP. When exercising at high intensity, the cells’ energy demands will exceed what the available levels of O2 can supply aerobically. Therefore the body will begin breaking down glucose anaerobically to maximise ATP production. This will result in an increase in the production of lactic acid, which leads to muscle fatigue. 2.8.S1 Analysis of results from experiments involving measurement of respiration rates in germinating seeds or invertebrates using a respirometer. ​​​​​​Correct use of terminology is a key skill in Biology. It is essential to use key terms correctly when communicating your understanding, particularly in assessments. Use the quizlet flashcards or other tools such as learn, scatter, space race, speller and test to help you master the vocabulary. In which Hank does some push ups for science and describes the "economy" of cellular respiration and the various processes whereby our bodies create energy in the form of ATP. 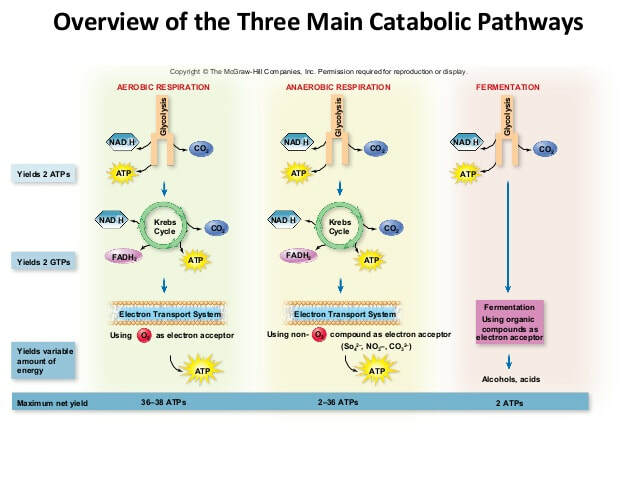 ​Paul Andersen covers the processes of aerobic and anaerobic cellular respiration. He starts with a brief description of the two processes. He then describes the important parts of the mitochondria. He explains how energy is transferred to ATP through the processes of glycolysis, the Kreb cycle and the Electron Transport Chain. He also explains how organisms use both lactic acid and alcoholic fermentation.